This edition of the top ten was in part inspired by Who Sampled It Better #2, which I encourage you to go vote in right now -- or after you enjoy all of these Ice-T videos. It was accidentally discovering the connection between a classic Ice-T song and an equally dope but somewhat more obscure Digable Planets song that got me thinking... Ice-T is a worthy artist to pay tribute to with a top ten. At times I feel silly pointing out how hard it was to get albums in a pre-internet, pre-MP3, pre-Amazon era, but if you were a fan of Ice-T in the late 1980's and early 1990's these videos were IMPORTANT. If you grew up in or around a small town, you couldn't just go to the store and buy "Power" or "The Iceberg." If you had a car and could drive far enough to a store with albums, chances are it was a Walmart, and if they had it at all it was the censored version. These music videos were the best commercials ever though -- they made me want Public Enemy, Cypress Hill, Ice-T and De La Soul albums that much more. Even if I had to find a specialty record store, even if I had to find a mail order catalogue and send someone a check, I would not be denied. When it came to owning Ice-T's discography it was a (say it with me now) you had to be H-U-S-T-L-E-R HUSTLER. That's why now even 25 years later I rock an Ice-T "O.G. Original Gangster" t-shirt. There were few albums I wanted more, and once I got it, he did not disappoint. 2. Ice-T - "New Jack Hustler"
3. Ice-T - "You Played Yourself"
4. 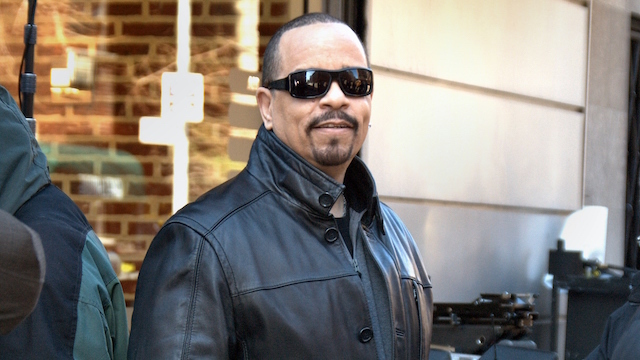 Ice-T - "Lethal Weapon"
5. Ice-T - "Lifestyles of the Rich and Infamous"
6. Ice-T - "Mind Over Matter"
7. Ice-T - "I'm Your Pusher"
8. Ice-T - "High Rollers"
10. Ice-T - "Fly By"